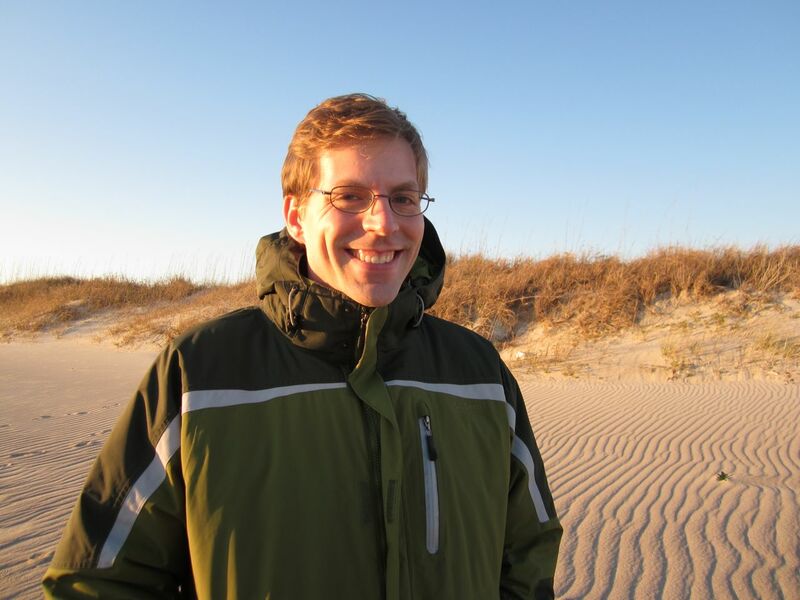 Mickey von Dassow is a biologist who is interested in exploring how physics contributes to environmental effects on development and recently joined the Ronin Institute as a Research Scholar. Here is a edited version of an interview I did with him from last year (full version). My background is in biomechanics and developmental biology. My Ph.D. asked how feedback between form and function shapes marine invertebrate colonies. During my postdoc I worked on the physics of morphogenesis in vertebrate embryos, specifically focusing on trying to understand how the embryo tolerates inherent and environmentally driven mechanical variability. Since then I have been independently investigating interactions among ecology, biomechanics, and development of marine invertebrate embryos, as well as teaching courses. Tell us more about Independent Generation of Research (IGoR) ? IGoR is a wiki for sharing research ideas, skills, and resources among novice, amateur, and professional scientists. The goal is to make it easier for everyone to do scientific research, regardless of how they make a living. One of the main motivations was that I often need devices that are just beyond my own skills to make, but which hobbyists with other skills could easily help me make. This got me thinking that I could do more and better science if there was an easy way for me to build collaborations with amateurs who have different skill sets. I also realized I would have much more fun doing science if I had a way to keep doing it whether or not I get the next grant or research job. Amateurs, such as Benjamin Franklin, Charles Darwin, or Grote Reber (the inventor of the radio telescope), used to be major contributors to scientific research. Today’s technologies should make it much easier for people to do science outside of a career, but we need ways to pool people’s talent and experience. Where do you see “citizen science” going in the next 5 or 10 years? I should say that IGoR is inspired by “citizen science,” but is a bit different from most citizen science. At the moment, most (but not all) citizen science seems to follow a model in which a few experts design a way to obtain a lot of data by getting many volunteers to do some low-skilled, repetitive task. However, there is a lot of interest in community-generated approaches (such as Public Lab, iNaturalist, OpenROV, and others), and approaches where there is real feedback between professionals and citizen scientists, involving creative and intellectual input from citizen scientists. How does citizen science relate to the “open-science” movement? As far as I can tell, the open-science movement seems to be focused mostly on open data and open publication models, but there are a lot of other strands to it. One strand that IGoR is definitely a part of is trying to move away from a status quo in which research is almost all done by people employed as researchers by big institutions. Open science, open source generally, citizen science, and the Maker/Hacker movement, all seem to be pushing against the divide between the professional and everyone else…. Are there particular kinds of research areas or projects that tend to fall through the cracks of traditional funding agencies (NSF, NIH etc.)? Yes. Funding agencies and universities like high-tech science. If you use a big machine that goes ping to do it, you have a much higher chance of success than if you just need to watch something with your own eyeballs, even if the intellectual merit is the same or better. Funding agencies are also driven by fashion, so in biology anything “omics” is in, and organisms seem to be pretty much out for the moment. Finally, they are not good at funding brand new projects, or new or unknown researchers. For example, researchers often say you need to do the project before you can get funding for it, and then use the funding for the next step. This makes perfect sense: your best bet with limited money is the big lab, with lots of toys, piles of preliminary data, and oodles of publications to prove they can do the job. However, that makes it hard for new researchers, small labs, or people trying new directions. Cutting those researchers out reduces the diversity of research questions and perspectives. My hypothesis for why “omics” and traditional model organisms dominate (even when there are better ones for particular problems) is positive feedback. If approach or field X is fashionable it will garner higher profile publications and more funding, so people doing X will have more opportunities, and other people will pay more attention to X, hence X seems even more exciting and an even better bet for funding or new hires. But, attention and funding are limited, so the more those go to X, the less they go to everything else. As I write this, it suggests that the answer is to make funding, and also publication visibility, a non-zero sum game. That gets back to finding new ways to support science, and to tell people about it, which encourage diversification of questions and approaches. What kinds of changes in the institutional structures of science (e.g., peer review, publications, promotions etc.) would encourage more citizen science, open science or independent scholarship? I think one of the biggest things that academic institutions could do is to teach students that independent scholarship is possible. There will never be enough funding for everyone who wants to do research (and is skilled at it) to make a living doing it. However, we all know that some of the deepest conceptual advances, notably Darwin and Wallace’s theory of evolution, came from people who were not employed as scientists. There are still many of important questions that can be addressed by an individual investigator on a shoestring budget. So, if we value science (or scholarship generally), we need to create an environment in which research can be an avocation rather than a career. The most important parts of that are to make that choice socially acceptable within the scientific community, and to teach people – starting in undergrad and going through all career stages – how to make it work. There are many resources describing how to succeed in academia (or whatever other career one might choose); but, there are few, if any, guides to doing research successfully when one is not doing it for one’s job. Are there other new models of doing research, outside of mainstream academic research institutions, that you have seen out there that inspire you? Community labs are one that excites me a lot, and is an inspiration for IGoR. They could be great for getting novices, amateurs, and independent professionals working together to do substantive research; their main limitation is that they are few and far between. The Ronin Institute aims to create a more flexible approach to being an independent scholar, so that more professional-level scholars can do research. Even simple things like providing an institutional affiliation for applying for grants could be very helpful. Do I have to choose just one? Ctenophores might be it right now. The way they glide through the water with waves of iridescence running down bands of beating cilia, is incredibly beautiful. I love the fact that they coordinate a lot of their motion and sensation using interactions among cilia: a very different approach than most animals. They also have some very cool developmental features. For example, some of them can regenerate half or more of their body as adults, despite the fact that (for the most part) each embryonic cell forms a particular part of the body, and cannot be replaced when lost. There is a point in their development where they gain the ability to regenerate. However, I love lots of invertebrates, and I can’t look at ciliates without wondering why I don’t study them.